This student's guide is a clear and concise handbook to the key connections between Classical Studies and critical theory in the twentieth century. Louise Hitchcock looks at the way Classics has been engaged across a number of disciplines. Beginning with four foundational figures – Freud, Marx, Nietzshe and Saussure – Hitchcock goes on to provide guided introductions of the major theoretical thinkers of the past century, from Adorno to Williams. Each entry offers biographical, theoretical and bibliographical information along with a discussion of each figure's relevance to Classical Studies and suggestions for future research. 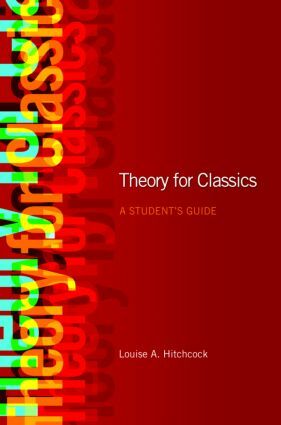 Theory for Classics, adapted from Theory for Religious Studies, by William E. Deal and Timothy K. Beal, is a brisk, thoughtful, provocative, and engaging title, which will be an essential first volume for anyone interested in the intersection between theory and classical studies today.